Technical questions? Ask your Digital Assistant and get help! Ask Sascha! - The digital assistant helps you to answer your questions about work safety, automation or operation. 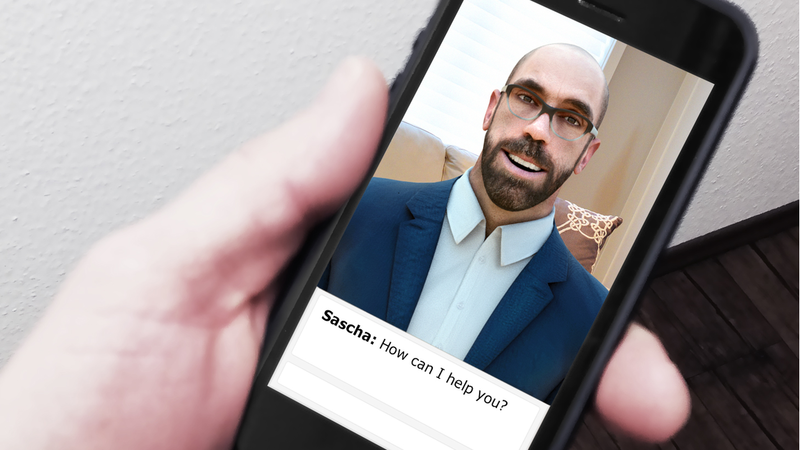 Sascha is an intelligent 3D-Chat Assistant that supports employees in the area of occupational safety. You could almost think he&apos;s a real person! The 3D avatar is automatically visualized in real time and helps, thanks to artificial intelligence, so to say "human". The intelligence can be extended to other topics. Many administrative tasks should be automated in the company and employees receive answers to their questions quickly, easily and intuitively via the AI Chat Assistant. Besides themes like occupational safety topics such as travel expenses, finance & controlling, internal procedures or instruction on the operation of machines or equipment are conceivable. Sascha or one of his virtual colleagues can be adapted to any topic. Sascha could also optimize customer satisfaction on websites through fast, simple and individual answers in customer contact. The virtual Sascha is a scan of a real person and represents a new technical milestone for browser-based interactive 3D assistants. Intelligent dialogue and assistance systems that react to text and speech input are the multi-modal user interface for multiple application scenarios.